It was customary that the lowest servant of the house would wash the feet of the guests as they came into the house, especially for a formal meal like this. For some reason, this didn’t happen when Jesus and the disciples came into the room. So they ate their meal with dirty feet. This was more awkward than we might think. First, because of the sandals they wore and the roads they walked on, the feet would be dirty. Second, the disciples would eat a formal meal like this at a table known as a triclinium. This was a low (coffee-table height), U-shaped table. The guests would sit, and their status at the meal was reflected by how close they were seated to the host or leader of the meal. Because the table was low, they didn’t sit on chairs. They leaned on pillows, with their feet behind them. This meant that dirty feet could be unpleasantly close to the table during the meal. So the unwashed feet were conspicuous. So why didn’t any of the disciples do this first? Any of the disciples would have gladly washed Jesus’ feet. But they could not wash His without having to be available to wash the others’ feet, and that would have been an intolerable admission of inferiority among their fellow competitors for the top positions in the disciples’ hierarchy. So no one’s feet got washed! 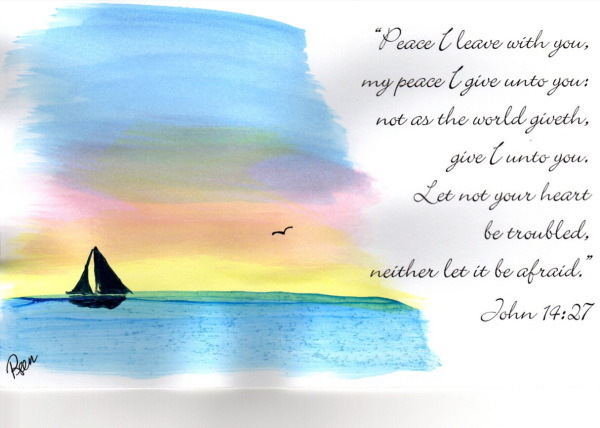 To the end means to the end of Jesus’ earthly life. Though the disciples gave up on Him, He never gave up on them. Though they stopped thinking about Jesus, and were only thinking of themselves, He never stopped thinking of them. Whose problems were worse – Jesus’ or the disciples’? Who was concerned more for the other? He loved them to the end. To the end means a love that will never end. Jesus will never stop loving His own. It isn’t a love that comes and goes, that is here today and gone tomorrow. To the end means a love that reaches to the fullest extent. Some translations have “He loved them to the uttermost.” Jesus poured out the cup of His love to the bottom for us. 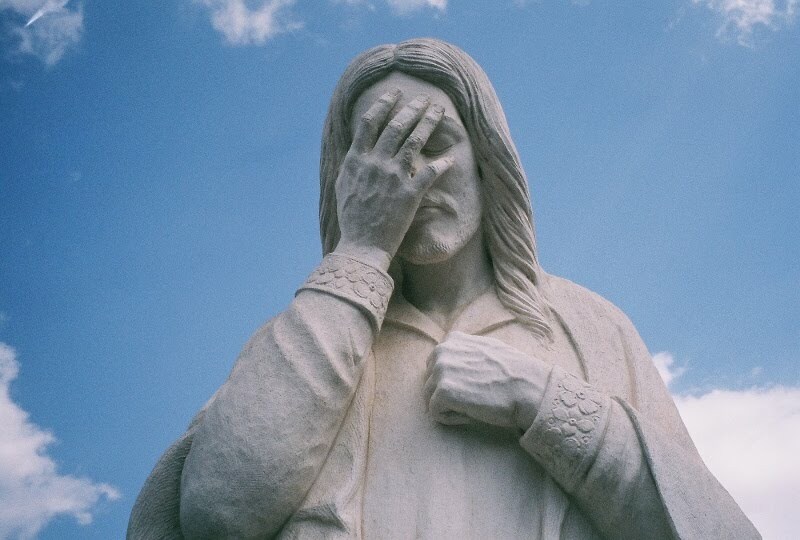 At this moment of deep meaning, Jesus did something that must have almost seemed crazy. He began to do the job of the lowest servant in the household. 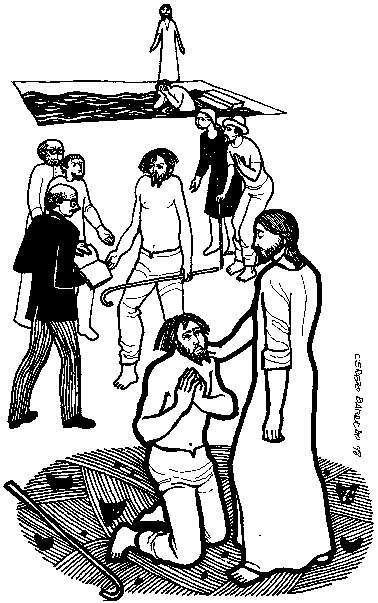 He began to wash the disciples’ feet. At this critical moment, at this evening before the torture of the cross, Jesus doesn’t think of Himself. He thinks about His disciples. Truly, this is loving them to the end. After all, Jesus’ disciples treated Him badly – and were about to treat Him even worse, forsaking Him completely – yet He loved them. Jesus completely gave Himself to washing their feet. Look at how thorough He was in this work. First, He rose from supper. Then Jesus laid aside His garments, which had to remind Him of what waited in just a few hours, when He would be stripped of His garments and be crucified. Jesus then took a towel and girded Himself. Finally Jesus poured water into a basin. If Jesus wanted to just display the image of a servant, He would have had a servant or one of the disciples do all this preparation work. He then would have quickly wiped a damp cloth on a few dirty feet and consider the job done. That would give the image of servanthood and loving leadership, but Jesus gave Himself completely to this work. This was an extreme act of servanthood. According to the Jewish laws and traditions regarding the relationship between a teacher and his disciples, a teacher had no right to demand or expect that his disciples would do such a lowly thing as wash his feet. 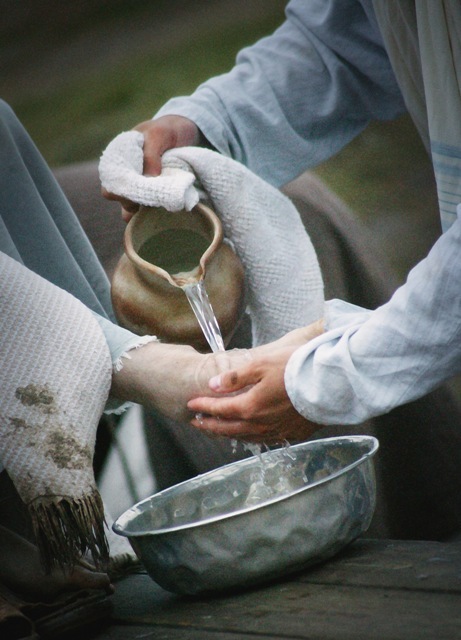 How much more unthinkable was it that the Master would wash His disciple’s feet? 10Jesus said to him, “One who has bathed does not need to wash, except for the feet, but is entirely clean. 12After he had washed their feet, had put on his robe, and had returned to the table, he said to them, “Do you know what I have done to you? 13You call me Teacher and Lord—and you are right, for that is what I am. 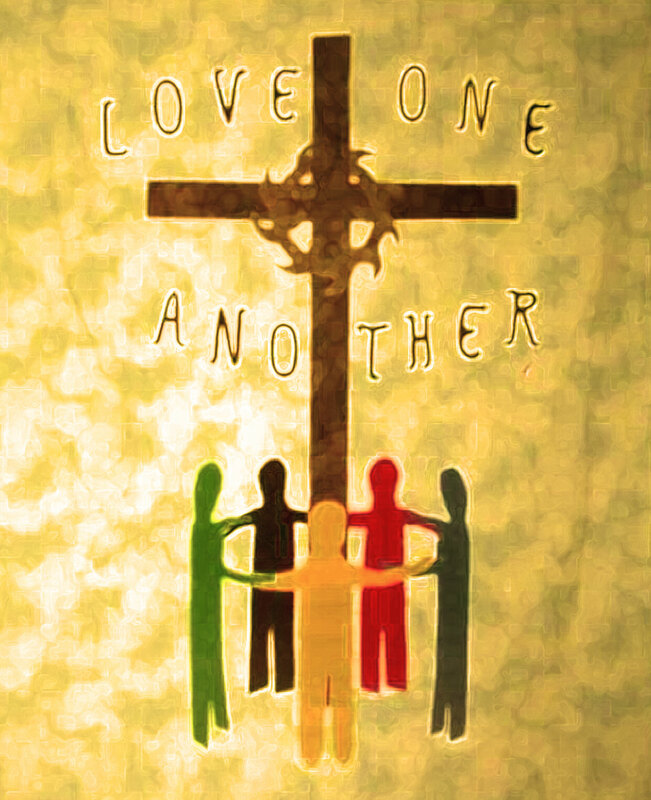 14So if I, your Lord and Teacher, have washed your feet, you also ought to wash one another’s feet. 15For I have set you an example, that you also should do as I have done to you. 16Very truly, I tell you, servants are not greater than their master, nor are messengers greater than the one who sent them. 17If you know these things, you are blessed if you do them. Scripture is full of references to washing and cleansing. Here is a song that references Psalm 51: 7 — Wash me, and I shall be whiter than snow. 22The disciples looked at one another, uncertain of whom he was speaking. 23One of his disciples—the one whom Jesus loved—was reclining next to him; 24Simon Peter therefore motioned to him to ask Jesus of whom he was speaking. 26Jesus answered, “It is the one to whom I give this piece of bread when I have dipped it in the dish.” So when he had dipped the piece of bread, he gave it to Judas son of Simon Iscariot. 27After he received the piece of bread, Satan entered into him. Jesus said to him, “Do quickly what you are going to do.” 28Now no one at the table knew why he said this to him. 29Some thought that, because Judas had the common purse, Jesus was telling him, “Buy what we need for the festival”; or, that he should give something to the poor. 30So, after receiving the piece of bread, he immediately went out. And it was night. 2) What can we do daily to wash one another’s feet? Or in other words — How can we love one another with Christ-like humility and kindness? What specific thing could you do for someone today in obedience to these commands (see verses 14 and 34) from Christ? 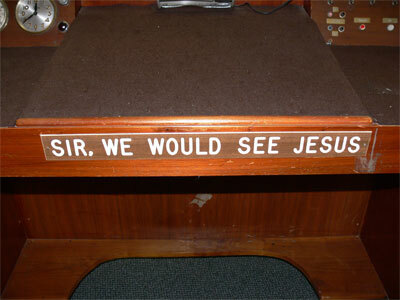 "We would see Jesus." What a wonderful thought for pastors as they step into their pulpits. And what a wonderful thought for each of us as we live our lives in front of our families, our neighbors, our co-workers. 20Now among those who went up to worship at the festival were some Greeks. 21They came to Philip, who was from Bethsaida in Galilee, and said to him, “Sir, we wish to see Jesus.” 22Philip went and told Andrew; then Andrew and Philip went and told Jesus. 23Jesus answered them, “The hour has come for the Son of Man to be glorified. Do you remember? Jesus previously said that the time was not ready (John 2:4 and 7:6). And the fact that His hour had not yet come had delivered Him from violence before (John 7:30, 8:20). Now that the hour has come, it is time for Jesus to make the final sacrifice. 24Very truly, I tell you, unless a grain of wheat falls into the earth and dies, it remains just a single grain; but if it dies, it bears much fruit. 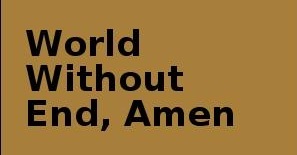 25Those who love their life lose it, and those who hate their life in this world will keep it for eternal life. 26Whoever serves me must follow me, and where I am, there will my servant be also. Whoever serves me, the Father will honor. 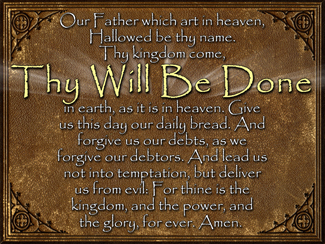 “Thy will be done.” Sometimes those are hard words to say. Yet — if we believe that God is who he says he is, that he is infinitely loving and willing to sacrifice his own Son for our sakes — these words are the easiest words to say. 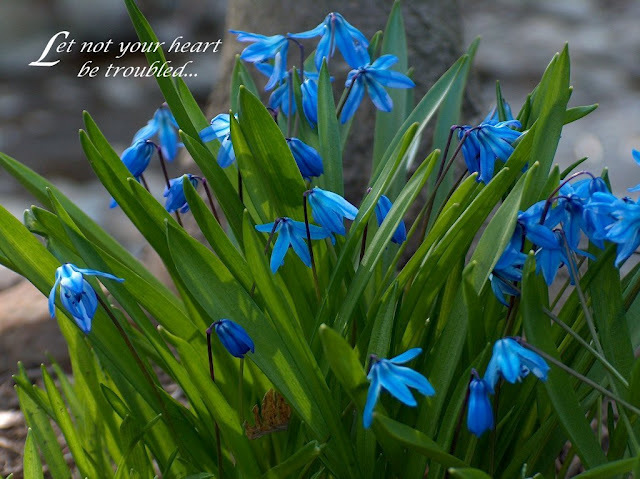 Joyfully I tell you again, God is for you! He loves you! You can trust him! 30Jesus answered, “This voice has come for your sake, not for mine. 31Now is the judgment of this world; now the ruler of this world will be driven out. 32And I, when I am lifted up from the earth, will draw all people to myself.” 33He said this to indicate the kind of death he was to die. The people had been taught the passages from “the law” (the Old Testament) which speak of the triumph of the Messiah. They were seemingly unaware of the passages that speak of His suffering (such as Psalm 22 and Isaiah 53). This crowd who waved palm branches with such enthusiasm thought they were welcoming a Messiah who would set up a political, earthly kingdom. They didn’t want to consider His sacrificial death. It didn’t fit in with their idea of what a Messiah should be. 35Jesus said to them, “The light is with you for a little longer. Walk while you have the light, so that the darkness may not overtake you. If you walk in the darkness, you do not know where you are going. 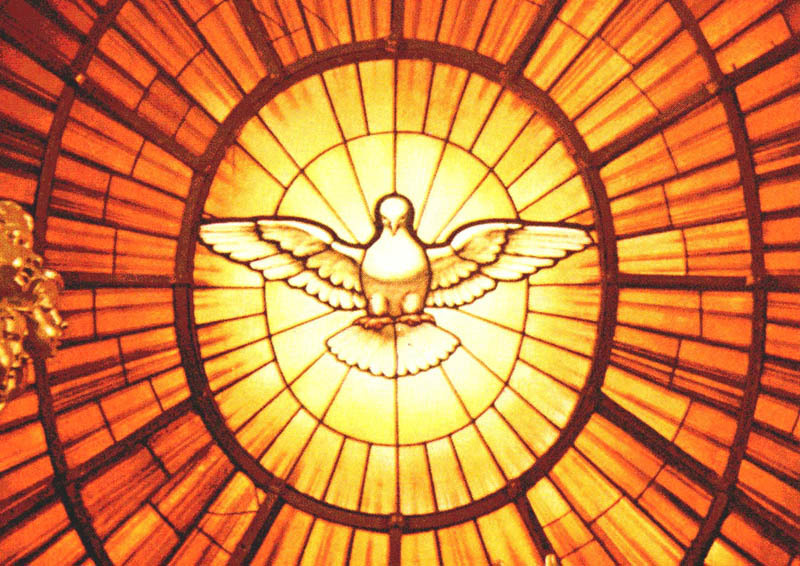 36While you have the light, believe in the light, so that you may become children of light.” After Jesus had said this, he departed and hid from them. 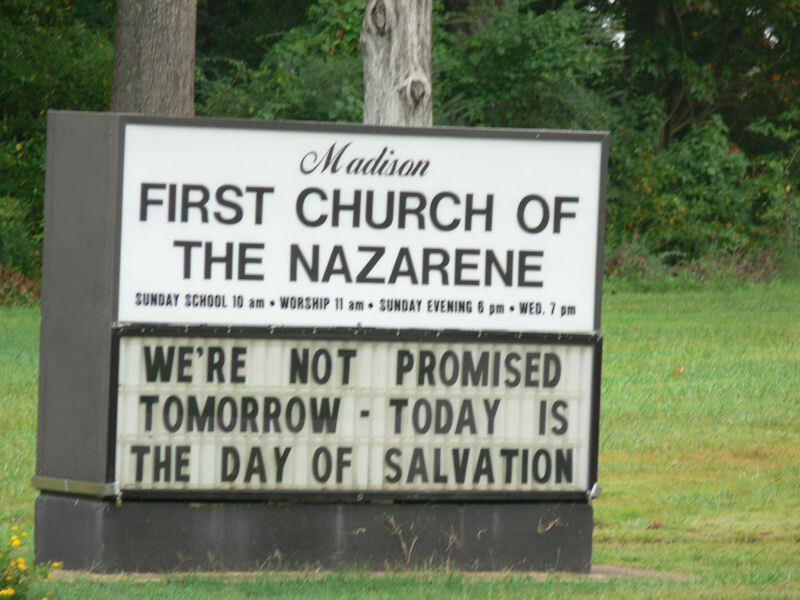 “Today is the day of salvation,” Scripture says several times. Do not delay your faithfulness, your obedience, your service to the Lord! 42Nevertheless many, even of the authorities, believed in him. But because of the Pharisees they did not confess it, for fear that they would be put out of the synagogue; 43for they loved human glory more than the glory that comes from God. 44Then Jesus cried aloud: “Whoever believes in me believes not in me but in him who sent me. 45And whoever sees me sees him who sent me. 46I have come as light into the world, so that everyone who believes in me should not remain in the darkness. that all he is speaking is truth. Yes, Lord, we do believe in you! You are the light of the world! One of my favorite songs by one of my favorite groups — “Here I Am to Worship” by the Oslo Gospel Choir. 1) How can we do as Jesus says in verse 25 and “hate” our lives? See Hebrews 11:13-16 for one idea . . .
2) In verses 44 and 45 we read of the leaders who were “secret followers” of Jesus because they were afraid they would lose their positions. Is it possible to be a secret follower of Jesus? One commentator wrote, “Only temporarily; either the secrecy will cancel out the belief, or the belief will cancel out the secrecy.” What do you think? 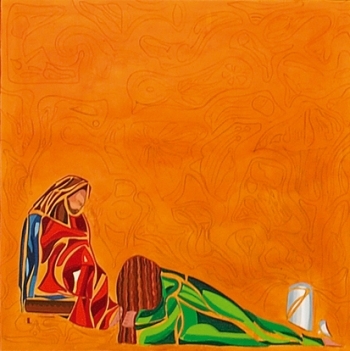 "The Anointing" by Meer Gyan, 2006. Six days before the Passover Jesus came to Bethany, the home of Lazarus, whom he had raised from the dead. 2There they gave a dinner for him. Martha served, and Lazarus was one of those at the table with him. 3Mary took a pound of costly perfume made of pure nard, anointed Jesus’ feet, and wiped them with her hair. The house was filled with the fragrance of the perfume. “Costly perfume” — According to the Archaeological Study Bible, one pint of nard would have cost about a year’s wage for a day-laborer. Cheaper by far is one of the most expensive perfumes in the world today — Joy, by Jean Patou. Henri Alméras designed and brewed the perfume in 1929. He mixed jasmine odor and rose in the perfume. Each 30 ml perfume in the bottle includes the extraction of 10,000 jasmine flowers combined with 28 dozen roses. It sells for only (!) $800 per ounce. “anointed Jesus’ feet” — This was unusual. Usually the head was anointed. “wiped them with her hair” — This is almost scandalous. A proper woman would not show her hair in a public setting. His objection is so self-serving, and his soon-to-be-accomplished betrayal of Jesus seems even darker when compared to Mary’s extravagant love! Mary is a model for us in devotion to Christ. We see her three times in Scripture. 1) In Luke 10:38-42, her sister Martha complains to Jesus that Mary is shirking her household duties by sitting at Jesus’ feet; Jesus replies that Mary has chosen the better part. 2) In John 11, Mary drops to her knees in her grief at the death of her brother and tells Jesus she wishes he had been there earlier. 3) Here in John 12, Mary understands something the disciples do not — that Jesus is soon going to die. She prepares his body for burial by anointing it with precious oil. Note that in all three stories, we find Mary at the feet of Jesus. In the parallel accounts of this event in Matthew 26 and Mark 14, the perfume is poured on Jesus’ head. “Broken and Spilled Out” sung by Steve Green. Put picture of Lazarus here. 9When the great crowd of the Jews learned that he was there, they came not only because of Jesus but also to see Lazarus, whom he had raised from the dead. 10So the chief priests planned to put Lazarus to death as well, 11since it was on account of him that many of the Jews were deserting and were believing in Jesus. Many of the “chief priests” were Sadducees, and they did not believe in the resurrection, or miracles. Lazarus was a living example that their theology was wrong! Hail, in the time appointed, His reign on Earth begun! 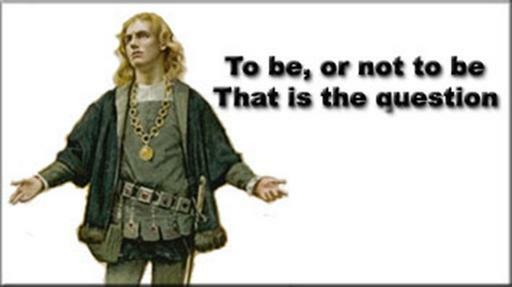 To take away transgression, and rule in equity. 15“Do not be afraid, daughter of Zion. 16His disciples did not understand these things at first; but when Jesus was glorified, then they remembered that these things had been written of him and had been done to him. 2) “The world has gone after him!” the Pharisees complain. 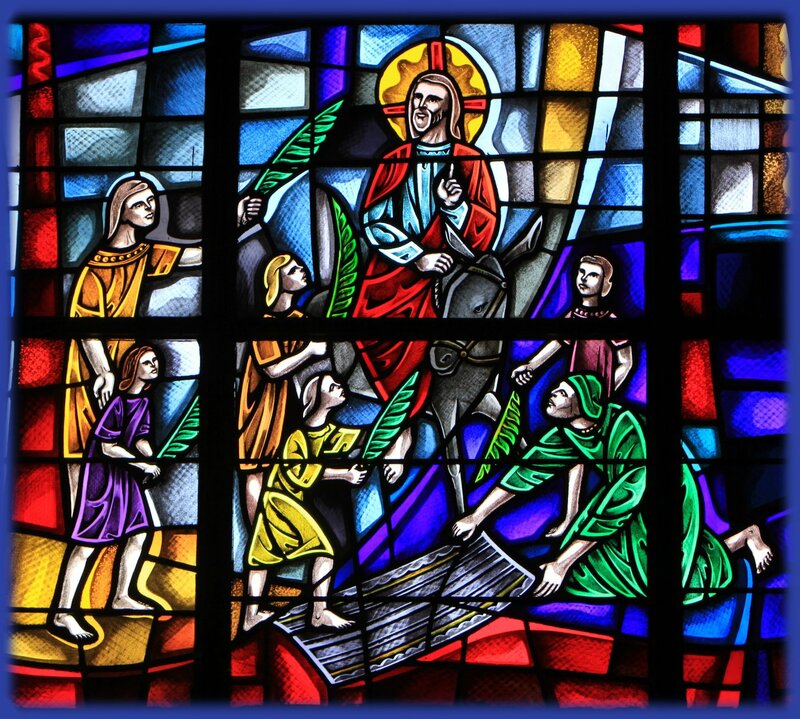 Why do you think the common people responded so enthusiastically to Jesus? Why were the Jewish leaders so negative? And — What draws you to Jesus? In the Catacombs of Rome, more than 40 images of this event, the raising of Lazarus, have been found. I remember years ago reading a sermon by Peter Marshall, when he was Chaplain to the United States Senate. He told of a boy of 12 who knew he was dying. 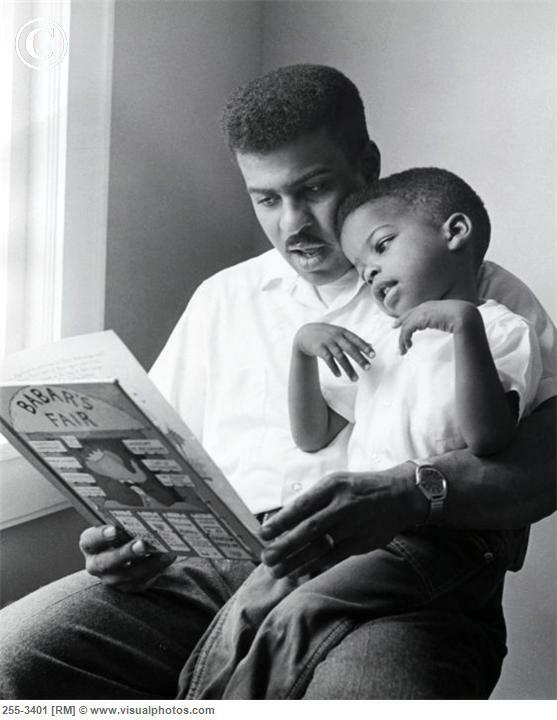 The boy asked his father, “What is it like to die?” His father said to him, “Son, do you remember when you were little how you used to come and sit on my lap in the big chair in the living room? I would tell you a story, read you a book or sing you a song and you would go to sleep in my arms, and when you woke up you were in your own bed. That is the way death is.” When you wake you are not where you were. You are in a place of security and safety and beauty and rest. That, Jesus declares, is what death is. All through the account of the gospels we get this, so that even the apostles pick it up later and say, “Them that sleep in Jesus will Christ bring with him when he comes” (1 Thessalonians 4:14). Look at the icon above, and see Mary and Martha kneeling at Jesus’ feet. Despite their profound sorrow at their brother’s death, they are worshiping the Lord. This High Priest of ours understands our weaknesses, for he faced all of the same testings we do, yet he did not sin. 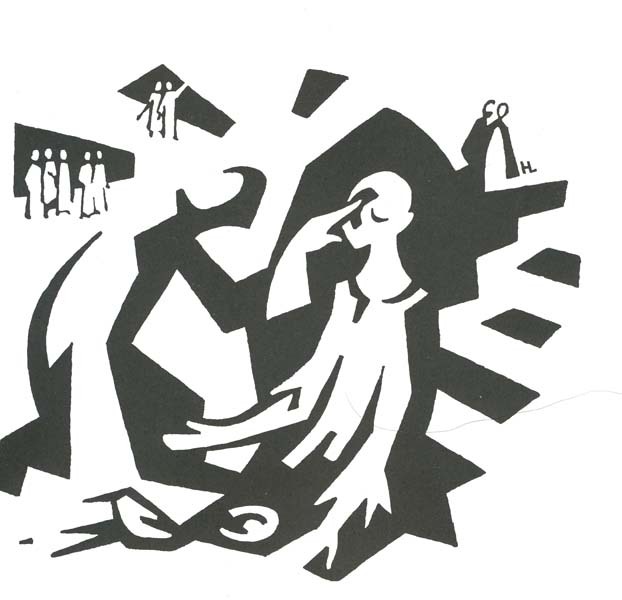 Lazarus raised from the dead today — and in just a few days — JESUS! 40Jesus said to her, “Did I not tell you that if you believed, you would see the glory of God?” 41So they took away the stone. Look at the icon above, and see one man struggling to roll the stone away. And Jesus looked upward and said, “Father, I thank you for having heard me. 42I knew that you always hear me, but I have said this for the sake of the crowd standing here, so that they may believe that you sent me. Look at the icon above, and see Jesus, strong and sure, the resurrection and the life forever. Look at the icon above, and see the man covering his nose at the stench of death, yet already beginning to take off Lazarus’ grave cloths. From the 80’s — Carmen sings “Lazarus, Come Forth.” What a great way to tell the story!! Of course, the irony here is that the Romans came and did just that, in AD 70. 49But one of them, Caiaphas, who was high priest that year, said to them, “You know nothing at all! 50You do not understand that it is better for you to have one man die for the people than to have the whole nation destroyed.” 51He did not say this on his own, but being high priest that year he prophesied that Jesus was about to die for the nation, 52and not for the nation only, but to gather into one the dispersed children of God. 53So from that day on they planned to put him to death. 54Jesus therefore no longer walked about openly among the Jews, but went from there to a town called Ephraim in the region near the wilderness; and he remained there with the disciples. 55Now the Passover of the Jews was near, and many went up from the country to Jerusalem before the Passover to purify themselves. 56They were looking for Jesus and were asking one another as they stood in the temple, “What do you think? Surely he will not come to the festival, will he?” 57Now the chief priests and the Pharisees had given orders that anyone who knew where Jesus was should let them know, so that they might arrest him. Put picture of Jesus here. 1) Read John 11:1-16 again. What clues foreshadowing Jesus’ own death do you see? 2) How hard it is for us when God does not do what we want him to do, or what we think he should do! What can Mary and Martha teach you about faith in Jesus through this story? “Very truly, I tell you, anyone who does not enter the sheepfold by the gate but climbs in by another way is a thief and a bandit. 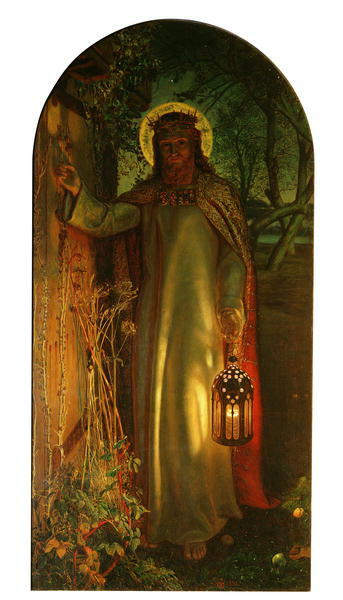 2The one who enters by the gate is the shepherd of the sheep. 3The gatekeeper opens the gate for him, and the sheep hear his voice. He calls his own sheep by name and leads them out. 4When he has brought out all his own, he goes ahead of them, and the sheep follow him because they know his voice. 5They will not follow a stranger, but they will run from him because they do not know the voice of strangers.” 6Jesus used this figure of speech with them, but they did not understand what he was saying to them. 7So again Jesus said to them, “Very truly, I tell you, I am the gate for the sheep. 8All who came before me are thieves and bandits; but the sheep did not listen to them. 9I AM THE GATE. Whoever enters by me will be saved, and will come in and go out and find pasture. 10The thief comes only to steal and kill and destroy. I came that they may have life, and have it abundantly. 11“I AM THE GOOD SHEPHERD. The good shepherd lays down his life for the sheep. 12The hired hand, who is not the shepherd and does not own the sheep, sees the wolf coming and leaves the sheep and runs away—and the wolf snatches them and scatters them. 13The hired hand runs away because a hired hand does not care for the sheep. The bad shepherd thinks the flock exists for his benefit, but the good shepherd lives (and dies) for the good of the sheep. The faithful pastor will, as an under-shepherd, display the same characteristics as the Good Shepherd. He will sacrifice for the sheep, know the sheep, and be known by them. He will be a shepherd and not a hireling who does not care about the sheep. The title pastor translates the same ancient Greek word used here for shepherd. There are not many pieces of music more beautiful than this — Handel’s “He Shall Feed His Flock like a Shepherd.” Blythe Gaissert, Mezzo-Soprano; Mary Petro, Soprano; Brian Paul Thomas, Conductor; Choir of St. Mark’s Episcopal Church, New Canaan, CT.
22At that time the festival of the Dedication took place in Jerusalem. 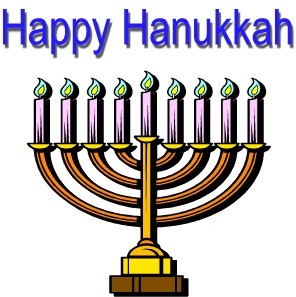 This feast was Hanukkah, celebrating the cleansing and re-dedication of the temple after three years of desecration by Antiochus Epiphanes, king of Syria. He had offered a pig as a sacrifice to Zeus on the altar of the temple. After a guerrilla war by folks known as the Maccabees, Jerusalem was freed and the temple was cleansed (around 164 BCE). 34Jesus answered, “Is it not written in your law, ‘I said, you are gods’? 35If those to whom the word of God came were called ‘gods’ —and the scripture cannot be annulled— 36can you say that the one whom the Father has sanctified and sent into the world is blaspheming because I said, ‘I am God’s Son’? 37If I am not doing the works of my Father, then do not believe me. 38But if I do them, even though you do not believe me, believe the works, so that you may know and understand that the Father is in me and I am in the Father.”39Then they tried to arrest him again, but he escaped from their hands. 40He went away again across the Jordan to the place where John had been baptizing earlier, and he remained there. 41Many came to him, and they were saying, “John performed no sign, but everything that John said about this man was true.” 42And many believed in him there. 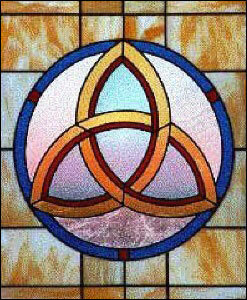 1) How does Jesus differentiate himself from others who claim to be shepherds? 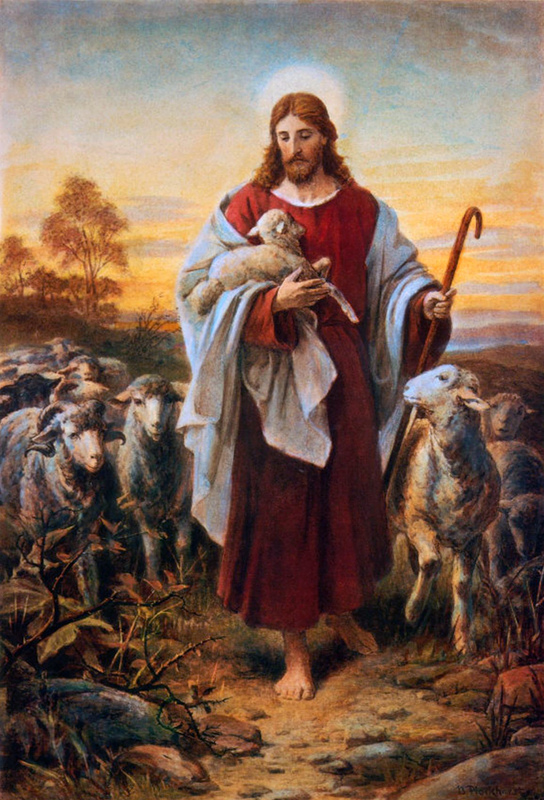 2) The image of Jesus as the Good Shepherd is one of the most popular (if you’ll forgive that word) portrayals of Jesus. We have seen that image on everything from baptismal certificates to stained glass windows at church to funeral bulletins. We are no longer an agrarian society, so why the love for this image of Jesus, do you think? 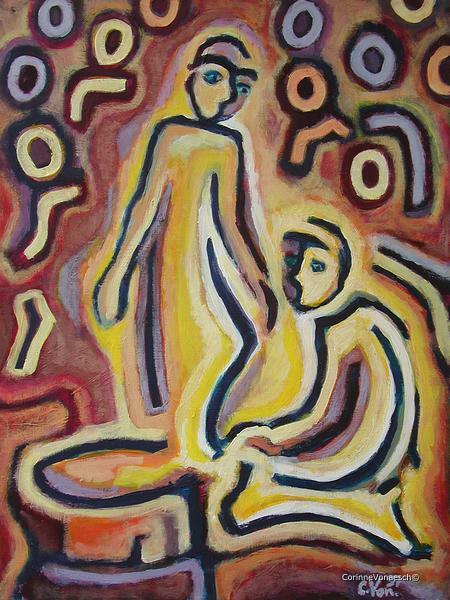 “The Man Born Blind” by Henri Lindegaard, 2003. Not many people would appreciate having mud made with spit rubbed in their eyes! Some would look at how Jesus did this miracle and object, saying that it was offensive, inadequate, or even harmful to rub mud made with spit in a man’s eyes. In the same way, some feel that the gospel is inadequate. But have all the psychiatric and political and social programs in the world done more good that the life-changing gospel of Jesus Christ? In the same way, some feel that the gospel is harmful, that the free offer of grace in Jesus will cause people to sin that grace may abound. But the gospel changes our life for the good and the pure, not unto wickedness. 7saying to him, “Go, wash in the pool of Siloam” (which means Sent). Then he went and washed and came back able to see. 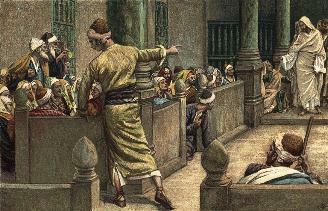 “The Blind Man Tells his Story to the Jews” by James Tissot, 1898. They ignore the wonderful healing and focus on the day that it happened. How silly we are when we major in the minors! But others said, “How can a man who is a sinner perform such signs?” And they were divided. I am almost impressed by how thoroughly they investigate this situation, looking for holes in the story! How diligent we are when we seek to believe what we want to believe, against all evidence otherwise! 24So for the second time they called the man who had been blind, and they said to him, “Give glory to God! 34They answered him, “You were born entirely in sins, and are you trying to teach us?” And they drove him out. My mother used to say, “There is none so blind as him who will not see.” How arrogant we are when we think we alone know the truth! Asking the question is more than half way to having the answer. How privileged we are when Jesus reveals himself to us! 38He said, “Lord, I believe.” And he worshiped him. I once was blind, but now I see. “Amazing Grace” is sung here by Nana Mouskouri. This woman with the beautiful voice was born in Greece in 1934. She has recorded music in fifteen languages over five decades and has sold more than 400 million discs. HERE is “Open Our Eyes, Lord,” by the Maranatha Singers. 1) Verse 3 could be rephrased to read: You were born so that God’s works might be revealed in you. Look a moment at your own life. Thank God for where you see his works in you and through you. Ask him to show you more clearly what else he would like to do in your life. What else would you like to do for the Lord? Pray bold prayers to an infinitely loving, infinitely able God! 2) The hymn “Amazing Grace” was written in 1779 by slave-trader-turned-clergyman John Newton. It is estimated that it is performed about 10 million times annually! What is it about that hymn which makes it so popular, do you think? 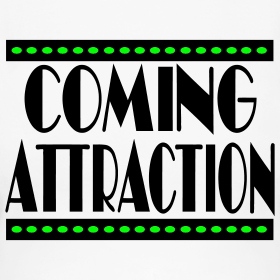 You are currently browsing the DWELLING in the Word blog archives for March, 2012.